This program will raise money for improvement projects to Victory Memorial Masonic Temple in Bremerton. For the donation of $250.00, a tile with the name of the person purchasing the tile and a Masonic emblem of their choice will be placed on a board attached to the North wall. 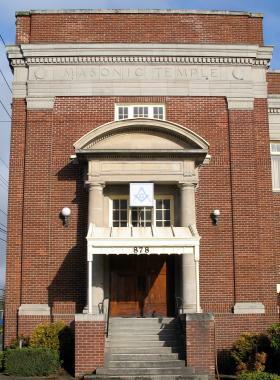 To purchase tiles, contact the resident #117 or #206 Lodge Master, Secretary or any member of the Temple Board.